Don’t miss out on this once in a lifetime opportunity to see the Grand Canyon. 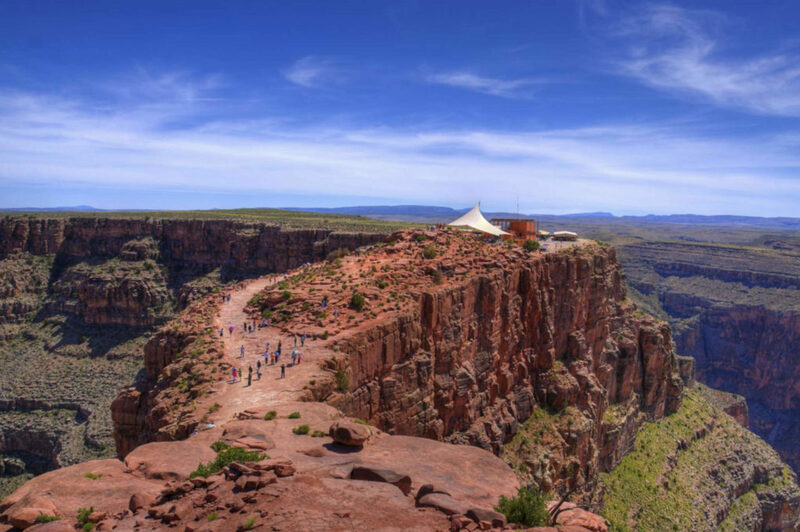 Travel in Luxury on our state of the art motor coach from Las Vegas to the Grand Canyon. Our motor coaches are air conditioned with restrooms, large viewing windows, and tv monitors through out. Sit back and relax as you learn about the Hoover Dam, Grand Canyon, and surrounding areas. Stop by the Hoover Dam Bridge for a 15 minute photo opportunity on the way to the Grand Canyon. Continue through the picturesque Mojave Desert alongside the mighty Colorado River to your destination, the greatest wonder of the World the Grand Canyon! Your tour will travel through the World’s Largest Joshua Forest over 900 years old. Frequent rest stops along the way allows you to take in the scenery that surrounds you and the perfect photo opportunity. Upon arrival to the Grand Canyon hike alongside the edge of the canyon and bask in the mighty landscape that surrounds you. After exploring the canyon sit down and relax for lunch as you over look the Grand Canyon. After lunch walk through history one last time and board your motor coach back to Las Vegas with memories that will last a lifetime! – The drive time from Las Vegas to the Grand Canyon South Rim is approximately 5 – 5.5 hours each way. – The drive time from Las Vegas to the Grand Canyon West Rim is approximately 4 – 4.5 hours each way. – Wear sensible shoes for hiking the Grand Canyons rocky and uneven terrain – closed toe shoes or hiking boots are recommended. We offer adventures in the Southwest you won’t find anywhere else. We offer ATVs tours, Helicopter Tours, Shooting Adventures, and more. © 2019 All rights reserved, Vegas Outdoor Adventures.